Only high quality organic grown Moso Bamboo is used for the handle. Bamboo is actually a type of gras and regrows quickly after harvesting. It provides natural antibacterial qualities, dries out quickly and has a tensile strength that rivals steel. 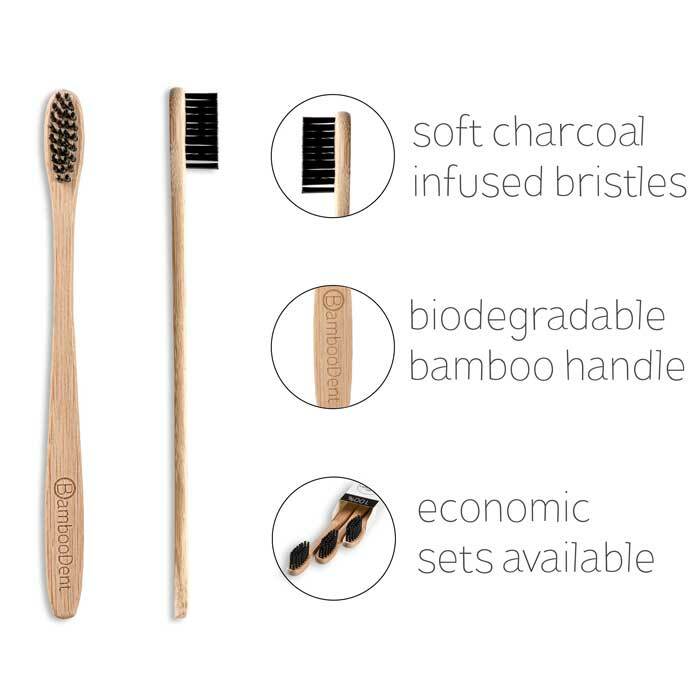 The bristles are infused with natural charcoal - this adds a black colour to them. 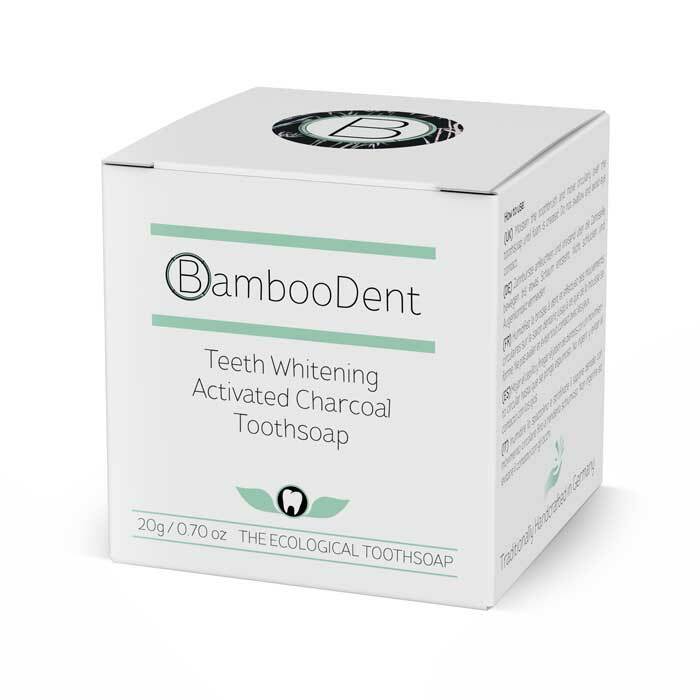 Charcoal provides an effective way at fighting plaque and can help whiten teeth by absorbing tannis - compounds found in coffee, tea and wine. DuPont is a sustainable and innovative bio based plastic. It is made from a renewable plant source and helps reduce the use of fossil fuels. It is BPA free, phthaltate free and recyclable. It offers the best combination of high comfort and being eco-friendly. Let's create a sustainable future. 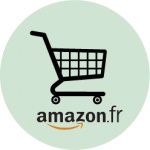 We want to be part of the solution for creating a sustainable future by reducing the burden of plastic on the environment. 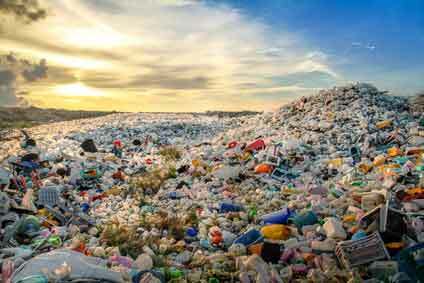 Enough plastic is thrown away each year to circle the earth four times. And it takes 500-1,000 years for plastic to degrade. If every individual were to use only one toothbrush, the world population of well over 7 billion people will generate over 100,000 tonnes of plastic waste each year. BambooDent has a bamboo handle that is 100% biodegradable and regrows quickly. Our packaging is made of environment friendly paperboard. You can make a change today by reducing your waste of plastic. High quality packaging with a windows and stickers on top and bottom to seal it. 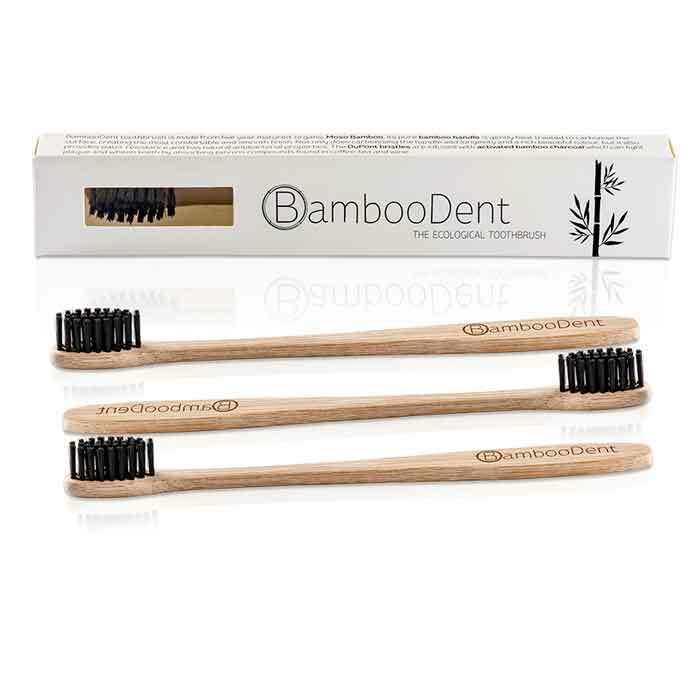 Medium soft nylon bristles infused with bamboo charcoal. Sets available for economic purchase. The BambooDent tooth soap is traditionally boiled with high-quality ingredients in the Allgäu - South Germany. Like most people I was using a regular toothbrush made out of plastic my whole life. I am an eco-minded person so I try my best to reduce envorionmental pollution. 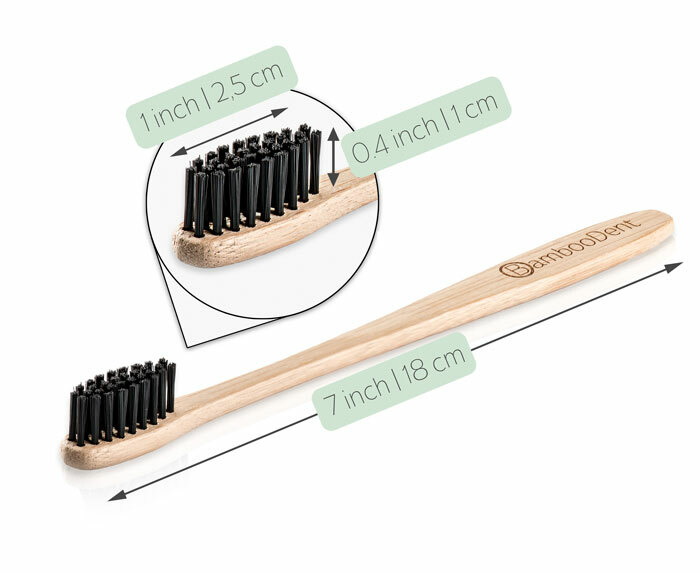 With BambooDent I can reduce my plastic wastage even more while not losing comfort in my brushing experience. 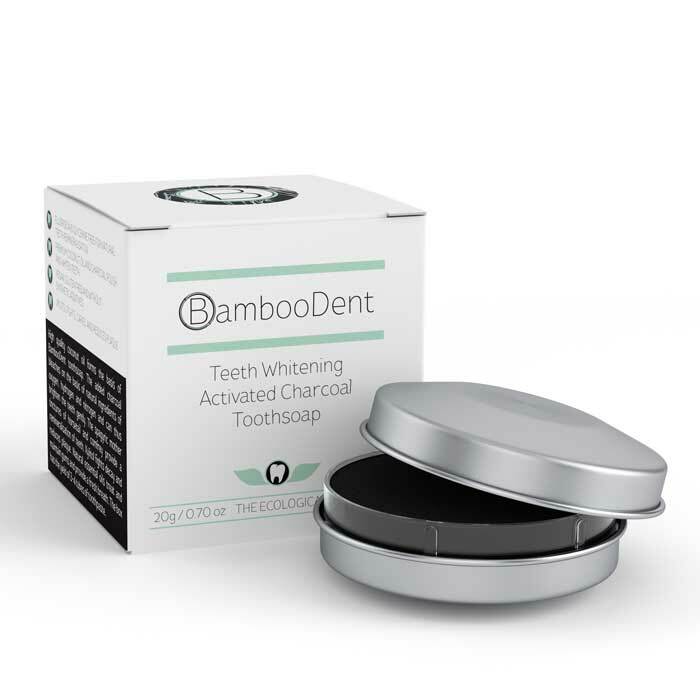 After using BambooDent for about two weeks I noticed a great thing: My teeth have become whiter! And people actually started commenting on it. I am very happy with this. I am doing something good for the environment and at the same time for my teeth. Can't get any better! My dentist recommended soft bristles to me, because I have problems with my gums. Before ordering BambooDent I was not sure if the bristles would be soft enough. 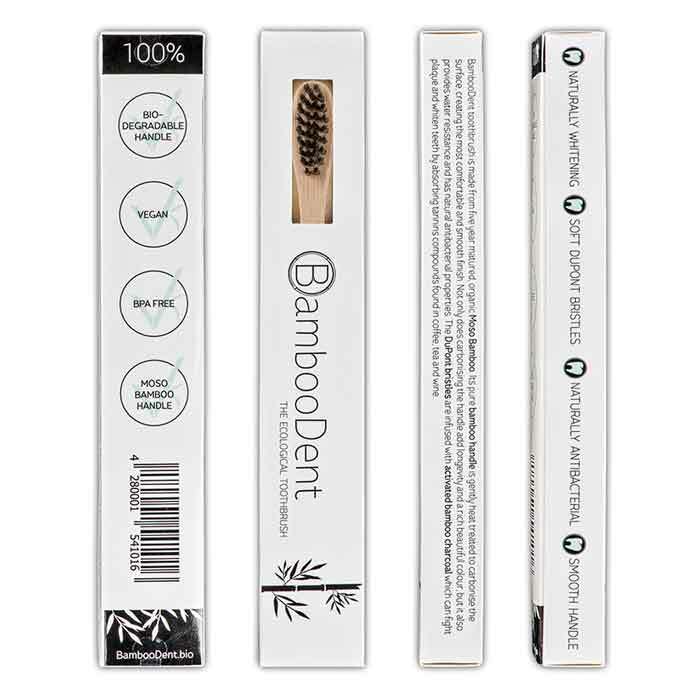 After using BambooDent for one week now I can surely attest that the bristles feel very comfortable and soft and are gentle on my gums.